You can download our leaflets explaining the resources we can provide in English and Welsh here. 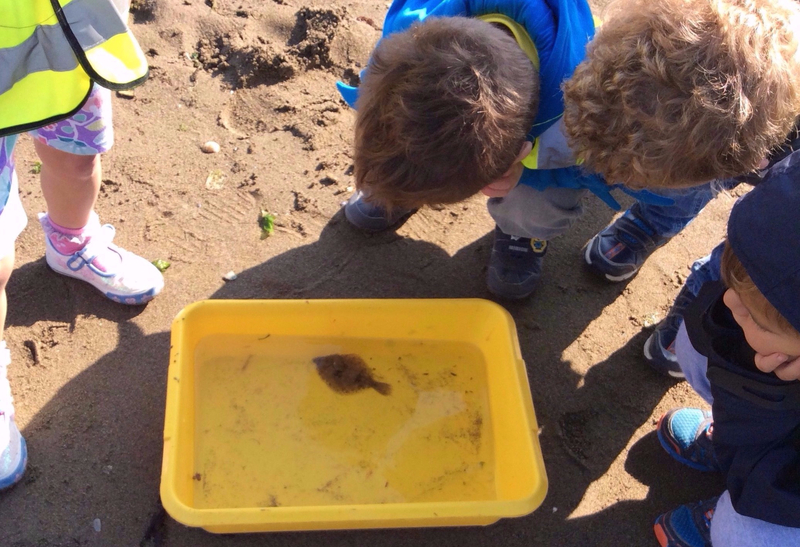 The Ocean Lab is based at Goodwick Sands, and therefore has access to a fantastic natural classroom. Our Sea Shore Safaris, where we search for marine creatures and identify shells and seaweeds, are done just outside the Ocean Lab. During Sea Shore Safaris, children are given ID sheets for the animals, seaweeds and shells they might find on the beach. Sea Trust marine biologists bring water-filled trays of creatures out of the shallow water at low tide for the children’s inspection. Supervised and guided touching and holding is allowed where appropriate. The animals are returned unharmed at the end of the session. The content of the safari can be tailored to meet your needs and curriculum. If you have any questions or would like more information please go to our Contact page for our contact details. The Sea Trust runs both accredited and nonaccredited courses for a range of age groups, covering a breadth of topics. 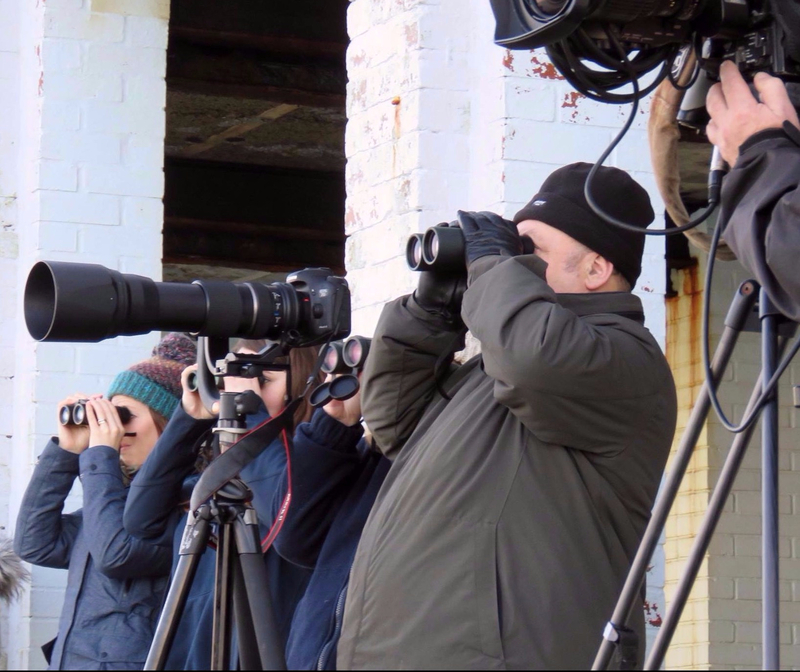 These include our Wildlife Observer Training (WOT) courses, run in partnership with Pembrokeshire College. The WOT courses on offer are: ‘Seals’, ‘Cetaceans’, ‘Porpoise and other Cetaceans’ and ‘Seabirds’. These courses run on a demand basis, so please register your interest with us or Pembrokeshire College for more information including current prices and dates. The Sea Trust runs workshops about marine plastic pollution, with children between 5 and 18 years old, as well as adult classes. For younger groups, we can give a short introduction, with the use of props and toys, to explain the issue of plastic pollution in the sea. They can then use plastic waste such as plastic bags and bottles to create marine creatures (jellyfish are popular and effective, plus cetaceans and many more). We also have a microscope which allows the microscope’s view to be projected on a large screen, which we use to demonstrate the different types of microplastics in household products such as toothpaste and what they look like. Marine life can also be shown under the microscope, which helps draw a comparison between food at the bottom of the food chain, e.g. plankton, and microplastic particles, demonstrating how the plastic enters the food chain. 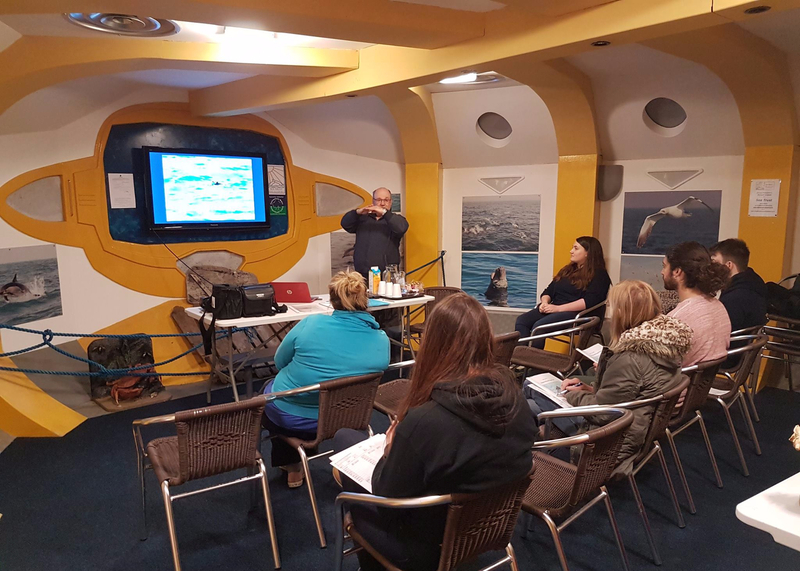 These workshops can be carried out as a complete event at a school or college, or they can be incorporated into a school or group visit to the Sea Môr Aquarium at the Ocean Lab. Our Aquarium includes a wealth of information on marine plastic pollution plus a quiz on the facts that children can take part in. Please get in contact if you would like more information. We can also run or host beach cleans, please get in touch for more info using our contact form or the contact information on the Contact page.